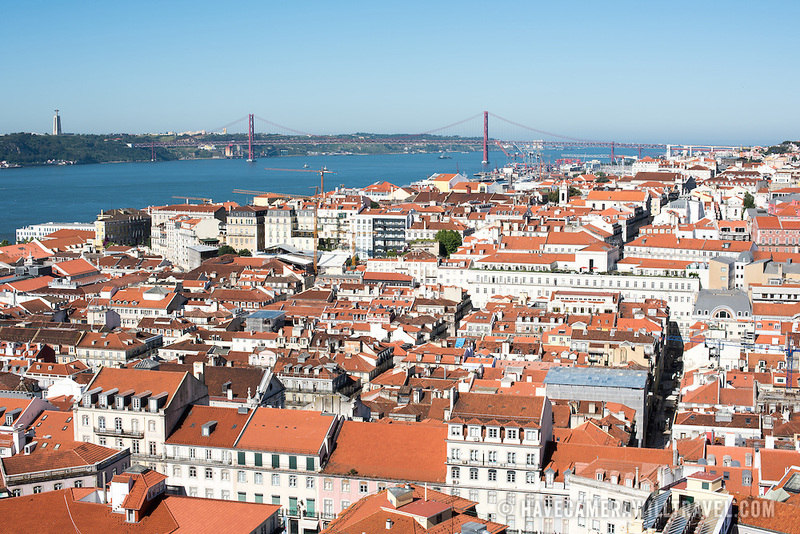 A view of the city of Lisbon and Tagus River, looking west from the walls of the castle. Sitting high on a hill overlooking the center of Lisbon, São Jorge Castle (or Castelo de São Jorge or Saint George Castle) is a Moorish castle. Fortifications have existed on the site for thousands of years, and the current distinctive walls date to the 14th century.